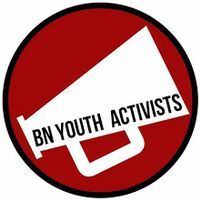 A town hall, with panelists who are running in the upcoming elections, will be hosted by BN Youth Activists. This is a new organization trying to tackle local, state, and national issues from a youth perspective. At the town hall, the panelists and community will be able to come together to talk about these issues, and possible solutions. This town hall is a great opportunity for the youth to get involved and for voters to get to know their candidates. For anyone unable to attend or RSVP in time, a live stream will record the event and someone will be taking questions submitted online.